1.) Aperture: For low light condition aperture should be low. Lower aperture is better. 2.) Lens diameter should be big. Bigger lens diameter is better. 3.) Sensor size should be large. Larger sensor size is better. 4.) Sensitivity should be low. Lower sensitivity(lux) is better. 3CCD sensor camcorders are the best for low light conditions but one CCD or CMOS sensors are also good for low light but only condition is sensor size should be large. Low light camcorders are very good for indoor conditions and suitable for evening and night recording conditions. Here we’ve rounded up top low light camcorders on the basis of many expert review ratings, Amazon ratings. 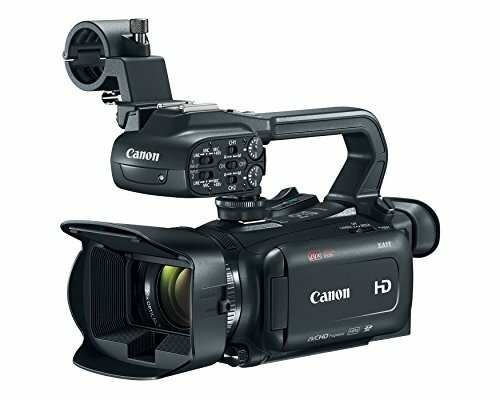 Some of the top manufacturers of best low light camcorders are Canon, Panasonic and JVC. Low-light performance needs to be high in professional camcorders as it demands recording sessions at any time of the day. And most of the times, low-light performance is found to be grand in professional cams. Thus, we have quite expensive camcorder here on the list. 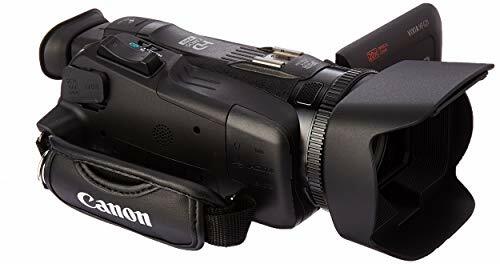 The similarities between Canon VIXIA G40 and XA 30 are enormous like 16:9 Aspect ratio, 1080p/60FPS, 20x Optical zoom, 2.91MP still images, CMOS sensor, 400x Digital Zoom, SDXC and SDHC memory support and Auto & Manual focus adjustment. However, there are few things that the XA30 is significantly better at are frame rate (60FPS vs 35FPS), smaller focal length and higher aperture number and higher effective megapixels. Also, the XA 30 is much lighter than the G40 which makes it more feasible to be carried. Slightly better than the XA 30 is the XA 35 which has quite a similar line of features to that of XA 30, namely Total Megapixels, Optical CMOS Pro Sensor, Intelligent 5-axis OIS, Dynamic IS, 1080p/60FPS, Highlight priority mode, Dual-format recording, 20x Optical Zoom, 3.5” OLED touch screen and Dual-band WiFi. The core difference between the two is that the XA35 has HD/SD-SDI port for extending its capabilities while the XA30 doesn’t possess it. Now the Sony camcorder FDR-AX53 on the list with a mid-range price tag absolutely justifies it. It has typical, mainstream Sony features like 4K recording, XAVC S 16.6 MP format, Exmor R sensor, B.O.SS Stabilization, ZEISS Lens that supports 20x Optical Zoom and 30x Clear Image Zoom at 4K. Touch panel of 3.0 inches lets you determine and choose the function you find the most suitable for a particular setting. 5-D Mic which does a premium job at capturing sound from all directions ensures the sound is realistic enough to enjoy. For sharing and broadcasting wirelessly, you have WiFi and NFC at your service. 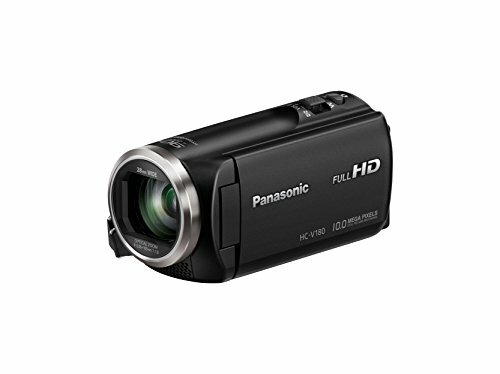 Coming on to the most budget-oriented choice on our list, the Panasonic HC-V180K with 50x Stabilized optical zoom is quite a thing of wonder. 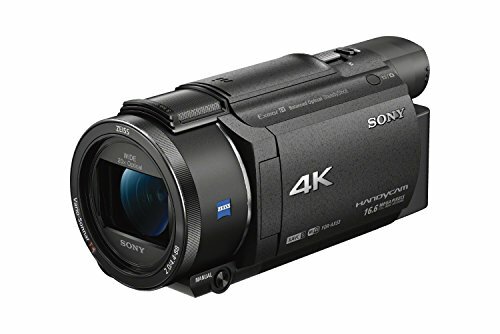 It offers ultra-sharp 1080p recording and apart from the optical zoom, it intelligently zooms up to 90x, assisted by 5-axis hybrid optical image stabilization system. 2.7” touch panel LCD to control the function and switch to shooting modes is quite convenient and talking about the audio, the 2-channel Zoom microphone to record from distant sound sources says it all.